In 2009 rumors began to circulate that Never Never Land’s statues were being stored in a secret underground location. Three years later Sharon Styer, a Tacoma resident who’d seen the storybook characters just before they all disappeared from Point Defiance, jumped at the chance to take a one-time-only tour beneath downtown. She took her camera and captured these shots of (what appear very much to be) a jumble of those beloved pieces.  “The tour spent more time talking about the underground passageways and tunnels than on the figures,” Sharon recalled to Grit City Magazine. Similarly eerie photos were captured by a few photographers who found out the location, but it turns out this particular collection may not have actually from Point Defiance. The concept for Tacoma’s Never Never Land park wasn’t new. Alfred Pettersen had opened a fairytale-themed park in Victoria, British Columbia just prior to arriving in Tacoma in hopes of duplicating his vision. He commissioned statues from sculptor Elek Imredy, and with the support of Tacoma lumber magnate Chauncey Griggs and John Hewitt Jr, our Never Never Land was brought to life in 1964. Admission in the early years was 50 cents for adults and 25 cents per child. On opening day the attraction raked in $1,350.00. By the end of the first year more than 90,000 visitors had passed through the gates. There’s no telling how many children visited the storybook scenes of the Three Little Pigs, Little Miss Muffet, and Goldilocks before Hewitt (who had become the principle owner) sold it to the city in 1986. Over the following years Point Defiance’s statues were repainted in bolder hues than Imredy had originally used, but a combination of weather damage and vandalism took its toll. A number of the statues were removed and placed in Metro Parks’ storage. Many of them have since been sold by local antique store, Broadway’s Best, which strongly believes the statues that have passed through their shop are pieces of the Point Defiance set. As of early 2018 these two statues are still available at the store. Where are the Tacoma figures according to Metro Parks, then? The answer is likely safe in storage or gone for good. Visiting the Point Defiance area where the characters once lived is akin to hunting for a Never Never Land that never was. The last traces of statues and buildings, including the Old Woman’s Shoe slide, were demolished in 2010. Hewitt, who was so much a part of our Tacoma park and went to the effort of storing Ontario’s statues in his building’s basement, wasn’t opposed to the pieces being sold. However, it’s possible the man who passed in 2013 would have liked to have seen what remains with Metro Parks return to the sun. “What would interest me is if someone wanted to put Humpty Dumpty together again,” he once quipped. I would love to try and put him together again…. But in 2018….how much is left and how much would have to be recreated? Though a magical place already, I spent the summer I turned 17 performing three magic shows a day in the park. I remember my buddy Joe and I arrived an hour before the park opened to set up. Three trips with a wagon full of props, up and down the hill to the rickety old wooden stage. Everything had to be set and ready for when the gates opened. The wooded scenery and the brightly colored story book characters allowed ones mind to be destracted from the cares and worries of the world around. The sounds of the children launghing and “reading passages” from these fairytales was the real magic. Away from electronic games and T.V. this gem of a place rekindled the imaginations of young and old alike. A truely magical place indeed.